Boston Mayor Marty Walsh will be at the White House on Wednesday where he will talk about his plan for community college tuition. 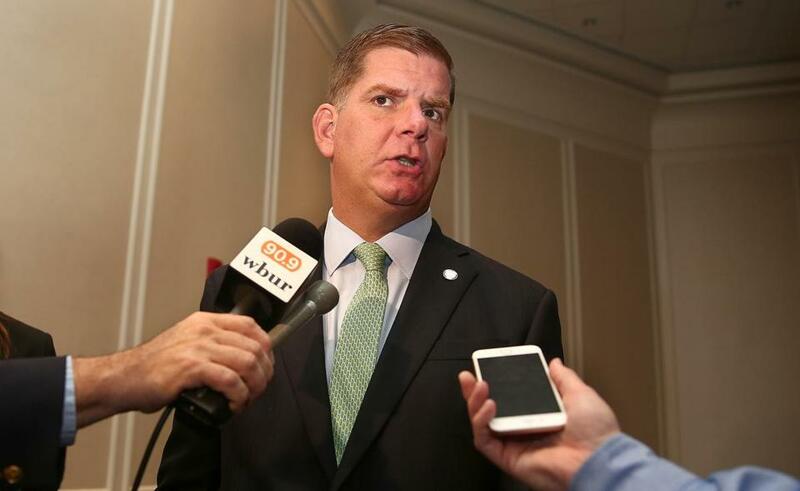 The city is planning to expand a new program that offers low-income Boston public school graduates free tuition at a pair of community colleges, Mayor Martin J. Walsh said this week. The mayor will highlight his free-tuition plan at a convening of policymakers, elected officials, and college presidents at the White House on Wednesday. “I’m really excited about it,’’ Walsh said in a phone interview. The mayor unveiled his tuition-free plan this spring, promising that low-income students who graduate from Boston’s public high schools with at least a 2.2 grade point average will be eligible for free tuition from either Roxbury Community College or Bunker Hill Community College. Walsh now says two more colleges may be added to the mix. “We are going to be talking about exploring new opportunities such as Quincy College and Mass Bay Community College,’’ the mayor said. Walsh was invited by the White House to serve on a panel discussing ideas and strategies for college access and completion. Walsh said that he plans to address “what we’ve done so far’’ — such as helping to improve retention at the two community colleges — and “what we’d like to see happen” — such as expanding the program. Since its June 1 roll out, 41 Boston public school graduates have qualified for the program, the mayor said. City officials expect hundreds to go through the program every year, his press office said. “We are really expecting to see a big increase next year,’’ Walsh added. When he announced the program, Walsh said it would help break down financial and social barriers that often prevent families from attending or completing college. Madison Park Vocational Technical High School already had the program. Walsh was invited to join the three-person panel that is intended to showcase best practices that strengthen community college access and success, White House officials said. The panel, “Serving Community Needs: Promise as an Innovative College Access & Completion Strategy,” will be moderated by Jerry Abramson, deputy assistant to President Obama and director of intergovernmental affairs at the White House. The event fits with Obama’s 2015 pledge called America’s College Promise, which would make two years of community college free for students, officials said. In a statement, Abramson praised the Walsh’s leadership on the tuition-free issue and said his plan has “eliminated barriers for local students to obtain a college degree.’’ Abramson said Walsh’s his free community college strategy “serves as a model” for other communities.